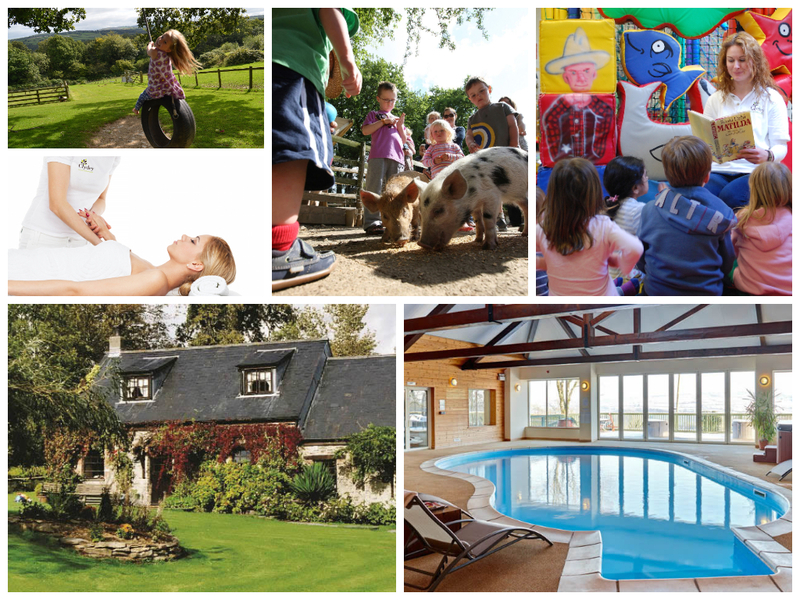 Mention Parent Friendly Stays when you book a family holiday at Clydey Cottages and receive an exclusive 5% discount! The Clydey resort is nestled in the countryside of north Pembrokeshire, Wales, on the borders of Carmarthenshire and Cardiganshire. Clydey is around ten miles from Cardigan and its stunning beaches, and around 20 miles from Carmarthen and Tenby. Family friendly activities in the local area include Folly Farm, Oakwood Theme Park, Castell Henllys and a wide range of popular beaches, museums, narrow guage railways and more. The Parent Friendly Stays team recently stayed at Clydey Cottages – click the image below to read our in-depth holiday review! There are a total of ten cottages at Clydey ranging from one to four bedrooms. The luxury properties retain their eighteenth century character with wooden beams, log fires and traditional furnishings, while also providing modern conveniences including superking beds and underfloor heating. Clydey prides itself on being at the luxury end of the self-catering market and the prices reflect the high standard of facilities on offer. A week during the school holidays at the height of the summer in one of Clydey’s two bedroom properties is likely to cost upwards of £2000; that’s more than some of our other self-catering cottages, but – as we’ve said before – in our experience you usually get what you pay for and Clydey really does have some fantastic facilities. 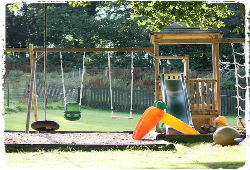 Clydey is an incredibly family orientated holiday complex with oodles of activities to keep children entertained. There are 20 acres of shared grounds including wildflower meadows, landscaped lawns and a stream to splash around in, providing the perfect environment for energetic outdoor play in the gorgeous Pembrokeshire air. There’s an outdoor play area (with climbing tower, swings, sandpit, trampoline and wendy house) and a well-equipped indoor games room with table tennis, table football, pool and air hockey. 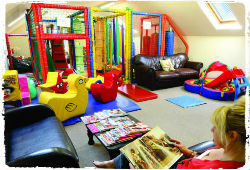 Clydey also has a soft play area for younger children with sofas for mum and dad to relax on. Kids of all ages will be delighted with Clydey’s heated indoor swimming pool with pool toys and floats to use, loungers to relax on and a playpen to keep little ones safe. Most days of the week children can involve themselves with the ‘Clydey Young Farmers Club’ and enjoy animal feeding and egg collecting. Everyone knows it can be difficult to fit everything in the car when you’re travelling away with the kids but this won’t be a problem if you’re visiting Clydey as everything you’ll need is provided: full size wooden cots, high chairs, stair gates, sterilisers, potties, monitors, changing mats and more. 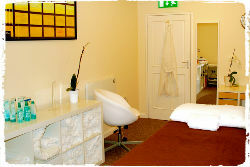 There’s a hot tub and sauna in the swimming pool complex for a relaxing end to your day (some cottages have their own private hot tubs too) or you can book a beauty/holistic treatment in Clydey’s Decleor-branded spa treatment room. All stays at Clydey Cottages also come with complimentary children’s services – a massive help for mums and dads hoping to grab an hour or two’s relaxation! – including daily animal feeding and egg collecting, a children’s creche on Monday and Thursday afternoons between 1pm and 5pm, woodland adventures (from March till October) and a circus skills workshop (during main school holidays). There’s an on-site shop selling essentials like milk and bread plus a range of frozen meals, making holiday meal times less of a chore. CRB-checked babysitters can also be arranged on request. All the cottages at Clydey come with free WiFi. Pets are not permitted. Clydey is the kind of holiday destination which takes your breath away: beautiful cottages in a stunning rural setting with fantastic facilities on site for children and grown-ups alike. Here at Parent Friendly Stays we greatly enjoyed our stay at Clydey Cottages and we can’t wait to return again in future. “Our award winning family resort, nestled amongst the North Pembrokeshire countryside and on the borders of Carmarthenshire and Cardiganshire, has stunning views over meadows, hills and woodlands, just a few miles from sandy beaches and the Wales coastal path. It takes your breath away. If you’d like to find out more about family friendly holidays at Clydey Cottages, including booking and availability enquiries, just fill out the form below.